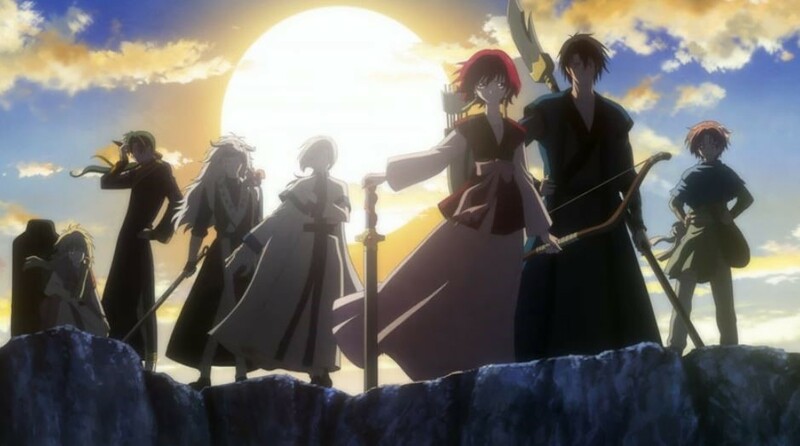 Certainly one of the more intriguing ‘school’ shows I have seen, “Assassination Classroom” (“Ansatsu Kyōshitsu”) is an odd duck of an offering in anyone’s book. One day, the world wakes up to find that 70% of the moon is gone, completely vaporized and now is in a permanent crescent shape. The alien who did it states to the Japanese government (good, YOU losers deal with it!) that within a school year, Earth will also be destroyed by him, but he offers mankind a chance to avert this fate. In the 3-E Class at Kunugigaoka Junior High School (where all the slackers, dummies and other losers end up), he starts working as a homeroom teacher, where he instructs his students not only in regular subjects, but also in the ways of assassination. 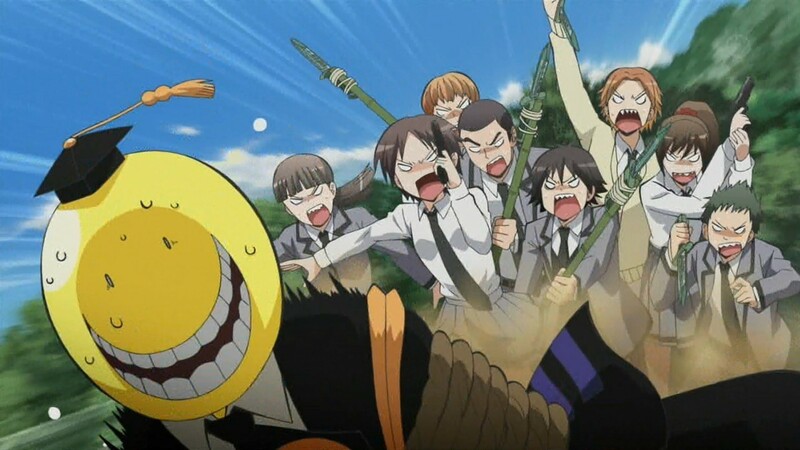 The Japanese government promises a reward of ¥10 billion ($100 million) to whomever among the students succeeds in killing the teacher, whom they have named “Koro-sensei”, as for some reason, he (we assume it’s a he; it’s the tie) doesn’t have a name. However, offing him has proven to be an almost impossible task, as not only does he have several superpowers at his disposal, including the capacity of moving at Mach 20, but he is also the best teacher they’ve ever had. There are about 30 students in the class, leading with (around the clock, starting at upper left) Nagisa Shiota. Now, this person is a guy (a joke later played out in the show). Not particularly strong, he is blessed with keen insight, as he tries to figure out the best way to exploit Koro’s weaknesses (and he has a load of them). The OVA for “Assassination Classroom” is, quite simply, the worst OVA I have ever seen, as there is no real reason for it. 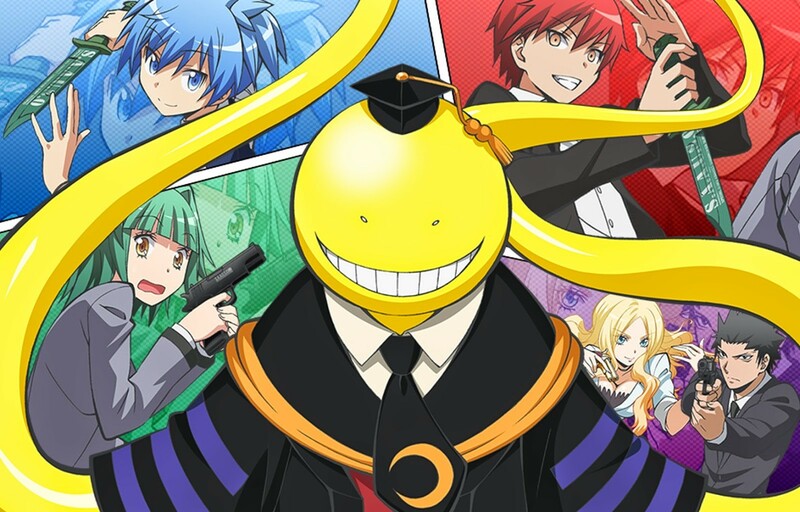 Now, a full review will follow when the show actually concludes, but, for the nonce, the plot revolves around Koro Sensei (that smiley face up there). He is a space alien and has personally blown away 70% of the moon. 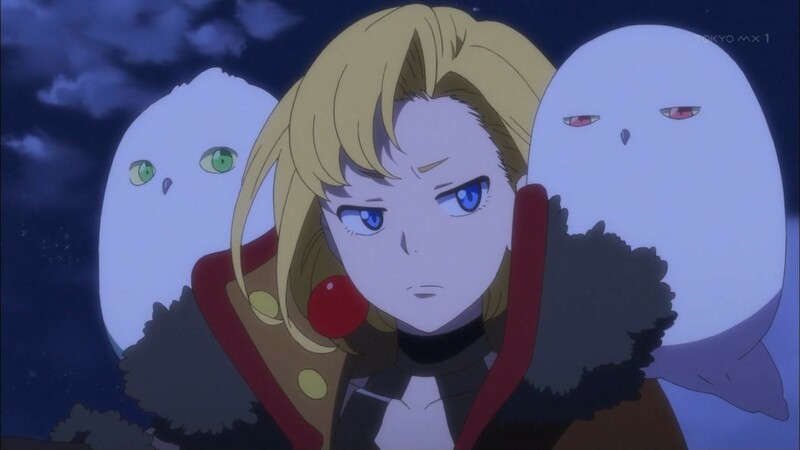 He gives the earth nine months (until March, in the anime) to have this classroom of slackers and losers try and assassinate him or it’s bye-bye big blue marble. It’s a lot harder that you think.